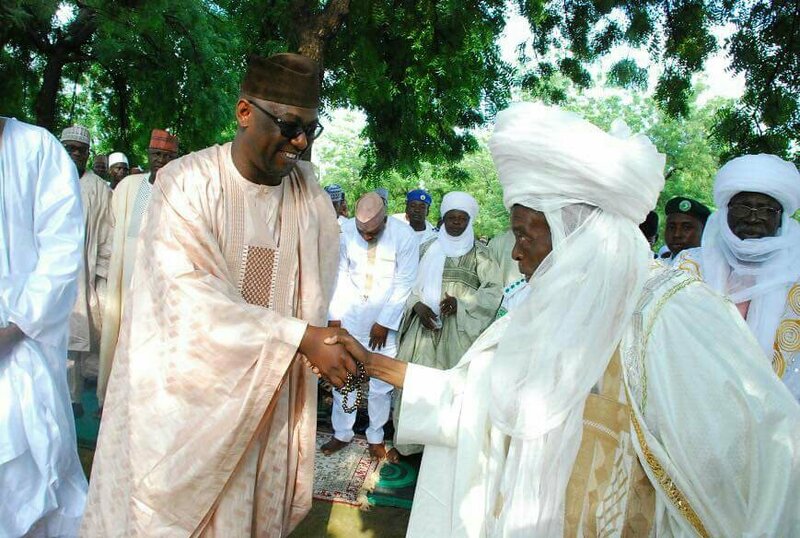 Niger State governor, Alhaji Abubakar Sani Bello yesterday re-emphasised the need for all Nigerians to live in peace irrespective of tribe, creed or religion, stressing that “development and progress can only be achieved when there is peace”. He said this in Kontagora, headquarters of Kontagora Local government area of the state shortly after the Eid-el-Kabir Sallah prayers with other Muslim faithfuls at Kontagora townships Eid ground. The governor who was joined by the Sarkin Sudan, Alhaji Sheidu Namaska and other top dignatories at the Sallah prayers said all hands must be on deck to ensure, improve and sustain peace in the state and the country as a whole. “We as a people need to deliberately ensure that peace reign in our country. Whether you are a Christian or a Moslem or whatever is your religion or tribe, we have to live peacefully together in one accord. “For any meaningful development to be recorded, we have to enthrone peace in our day to day national lifestyle. Our progress as a people, is dependent on peace. There must be deliberate and concerted efforts by all to give peace a chance”. The governor then assured Nigetlites of his resolve to continue to provide meaningful leadership by ensuring even spread of infrastructural facilities in the state. He then enjoined the people to complement government efforts by living up to their civic responsibilities, by ensuring prompt payment of their taxes and protecting public infrastructures in their domain. He wished the Muslim Ummah successful and hitch free Sallah celebration and prayed for a rewarding Hajj exercise and journey mercy back home for all pilgrims in Saudi Arabia. The two rakat prayers were led by the Chief Imam of Kontagora, Sheik Shehu Rimaye. He also conducted the symbolic slaughtering of ram at the Eid ground.